Educate Tanzania has known ETI Partner, Sarah Cohn since before ETI was born. As an Evaluation and Research Manager at the Science Museum of Minnesota, Sarah was hired by the University of St. Thomas during Jan’s first year as co-founder of the Center for Engineering Education at UST. Sarah did such a great job that when she established Cohn Consulting and Jan co-founded Educate Tanzania, they found themselves working together once again. Sarah’s current task? 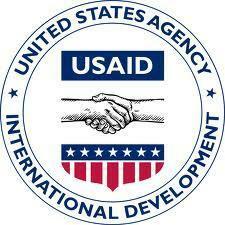 Write a compelling grant to secure funds from USAID/ASHA – due April 24th (5:00 Eastern Time for those of you who like specifics). ASHA is the acronym for American Schools and Hospitals Abroad whose goal is to “advance mutual understanding between the U.S. and other countries”. Exactly what ETI does! The goal of our grant is to construct the next four buildings in the construction sequence so that KARUCO can open its doors in October, 2016. Our photo here shows just how much Sarah enjoys this task! 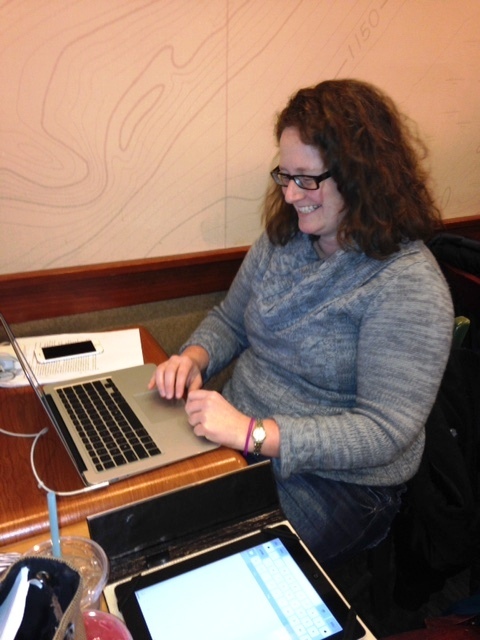 At our favorite meeting place (Caribou on Penn, Minneapolis), Jan and Sarah check progress and update the narrative and appendices. Sarah has worked with MSAADA Architects to pull the construction documents for the next four buildings together and is smiling over the latest news of support letters for the grant such as those from Ambassador Liberata Mulamula and EARTH University Provost, Dr. Daniel Sherrard to mention just two. Of course the overall goal of the grant is to construct the buildings that will allow KARUCO to open so that farmers and youth – especially women – can start to experience the benefits from the KARUCO curriculum and program. As the hub for agribusiness and a model for democratic ideals, KARUCO has already given the 425,000 people in Karagwe—over 90% of whom are farmers— unprecedented hope in the ability to break the cycle of poverty and increase their life’s income through the university program for students and community engagement for local farmers. And that’s a hope we can all get behind.